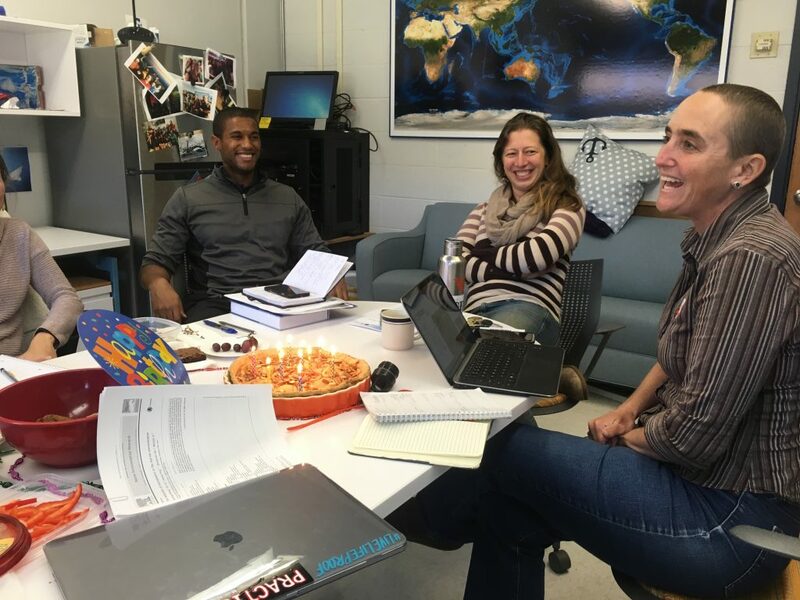 The GEMM Lab celebrating Leigh’s birthday with homemade baked goods and discussions about science. A lab is a family. I know there is the common saying about how you cannot choose your family and you can only choose your friends. But, I’d beg to differ. In the case of graduate school, especially in departments similar to OSU’s Fisheries and Wildlife, your lab is your chosen family. These are the people who encourage you when you’ve hit a roadblock, who push you when you need extra motivation, who will laugh with you when you’ve reached the point of hysteria after hours of data analysis, who will feed you when you’re too busy to buy groceries, and who will always be there for you. That sure sounds a lot like a family to me. And I can attest that every member within the GEMM Lab embraces all of these characteristics and I have a feeling that none of them have read that article prior to today. Family naturally follows those basic guidelines. And, our lab, is a family. My very first GEMM Family Dinner. Case and Point: when I was applying for graduate programs, I made a point of traveling to meet the GEMM Lab members at the monthly lab meeting. Sure, I also wanted to make sure that both Newport and Corvallis would be good fits in terms of locations. But, mostly, I needed to see if this Lab would be a strong family unit for my graduate school career and beyond. The moment I arrived at Hatfield Marine Science Center in Newport, it was clear, this was a family that I could see myself being a part of. Not only had all the members brought some kind of food item to share at the lab meeting (this was important to me), but Florence had baked homemade bread, Dawn had offered to show me around Hatfield, and Leila had set up a time to take me around main campus with other grad students. During the lab meeting discussions, I was welcomed to contribute and I felt comfortable doing so. That was another big moment where something “clicked” and I knew I had found a great group of amazing scientists who were also amazing human beings. 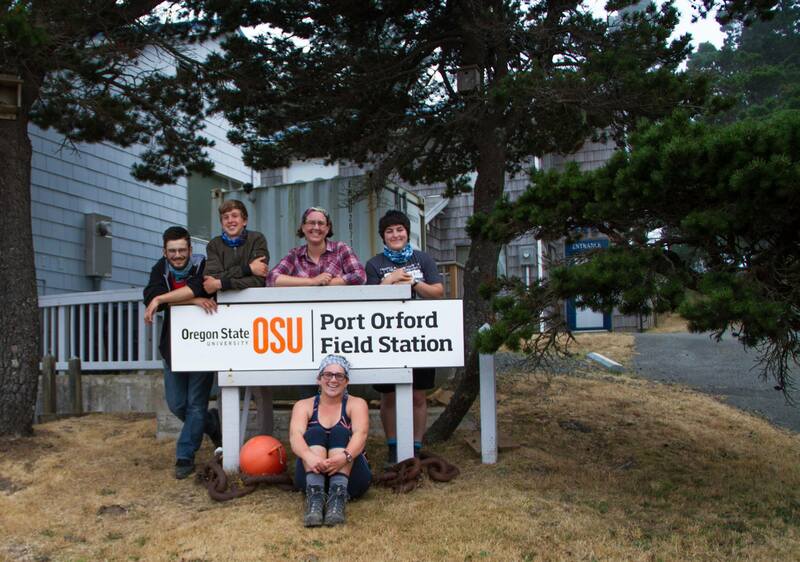 GEMM Lab members at the Port Orford Field Station in August 2017. Flash forward a few months, and now I am one of those lab members who is bringing food to lab meetings. 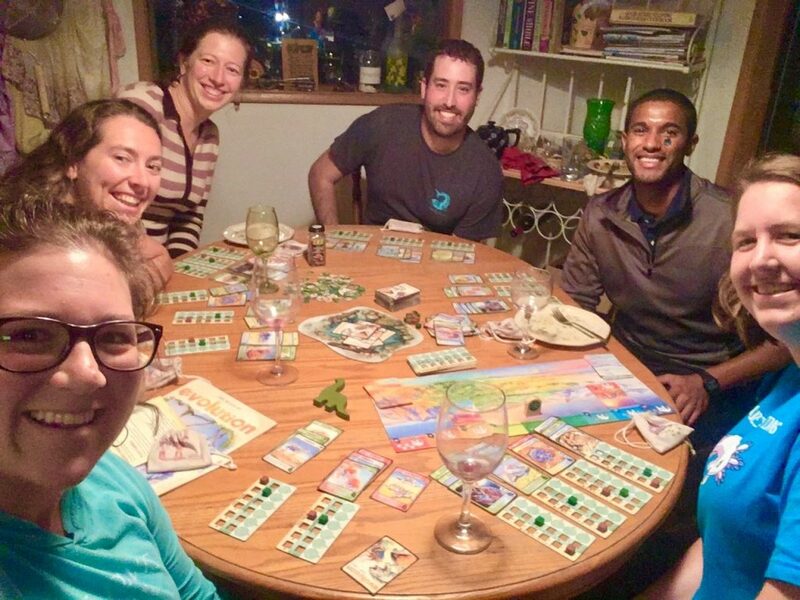 More than that, we have GEMM Lab dinners and game nights. I may be based in Corvallis, but I commute out to Newport just for these fun activities because this is my family. 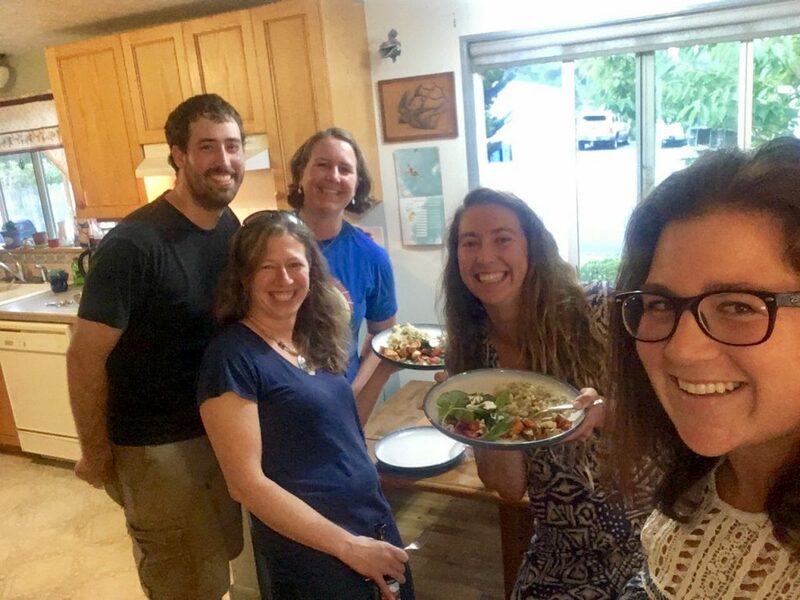 I want to be with them—not only when we’re talking about our research—but when we’re laughing about the silly things that happen in our daily lives, comically screaming at each other in an effort to win whatever game is on the table, and enjoying home-cooked meals. This is my family. 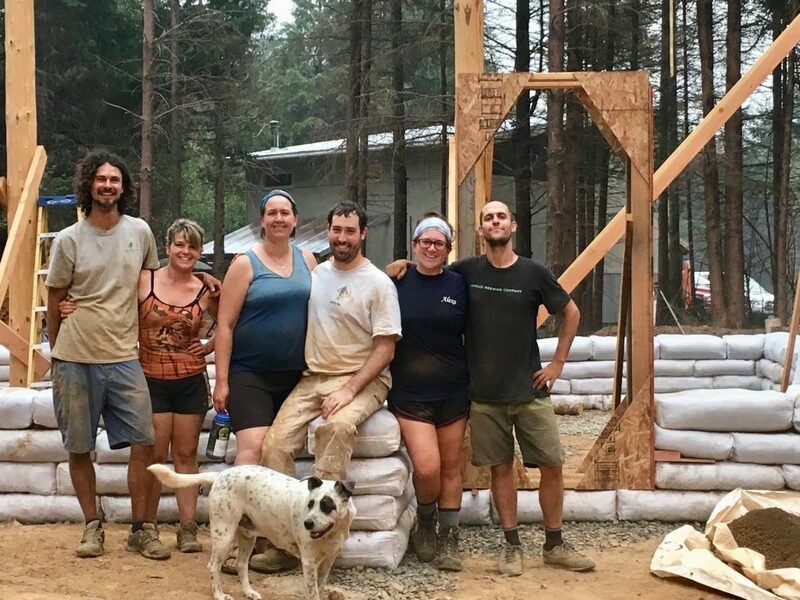 GEMM Lab members helping some friends at South Coast Tours build a dirt-bag house in August 2017. I guess I’d like to plug this message to any potential graduate student regardless of discipline(s): find a lab with people that you truly want to surround yourselves with—day and night—in good times and in bad times—because undoubtedly, you’ll need those kinds of people. And, to current lab constituents in any lab: it’s up to us to create a supportive family which will make everyone successful. I’m grateful to have found a lab that embodies the lyrics of one of my favorite childhood karaoke songs. 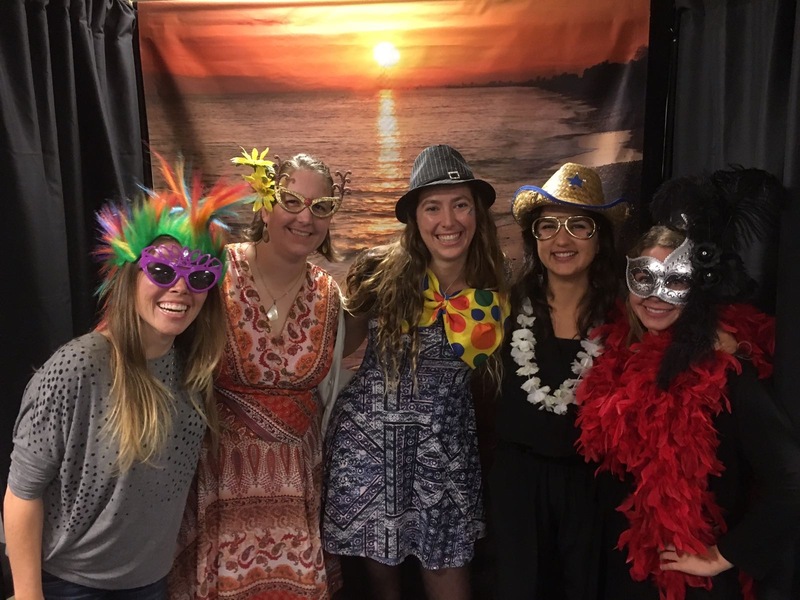 The GEMM Lab is not only a lab that produces cutting-edge science; it is a family that encourages one another in all facets of life—creating an environment where people can have high-quality lives and generate high-quality science. GEMM Lab Family Dinner complete with the board game, Evolution, and homemade pizza. October 2017. By Florence Sullivan, MSc student, Oregon State University. Earth day is a worldwide event celebrated annually on April 22, and is typically observed with beach, park, or neighborhood clean ups, and outreach events sponsored by environmental groups. Last year, environmentalists rejoiced when 195 nations signed the Paris Agreement – to “strengthen global response to the threat of climate change by keeping global temperature rise below 2 degrees C”. This year, the enviro-political mood is more somber. Emotions in the GEMM Lab swing between anger and dismay to cautious optimism and hope. The anger comes from threatened budget cuts, the dismissal of climate science, and the restructuring of government agencies, while we find hope at the outpouring of support from our local communities, and the energy building behind the March for Science movement. What is perhaps most striking about the movement is how celebratory it feels. Instead of marching against something, we are marching FOR science, in all its myriad forms. With clever signs and chants like “The oceans are rising, and so are we”, “Science, not Silence”, and “We’re nerds, we’re wet, we’re really quite upset” (it rained on a lot of marches on Saturday) echoing around the globe, Saturday’s Marches for Science were a cathartic release of energy, a celebration of like-minded people. Our competition room for NOSB 2017! Game officials are in the front of the picture, competitors at the first two desks, and parents, coaches and supporters in the back. 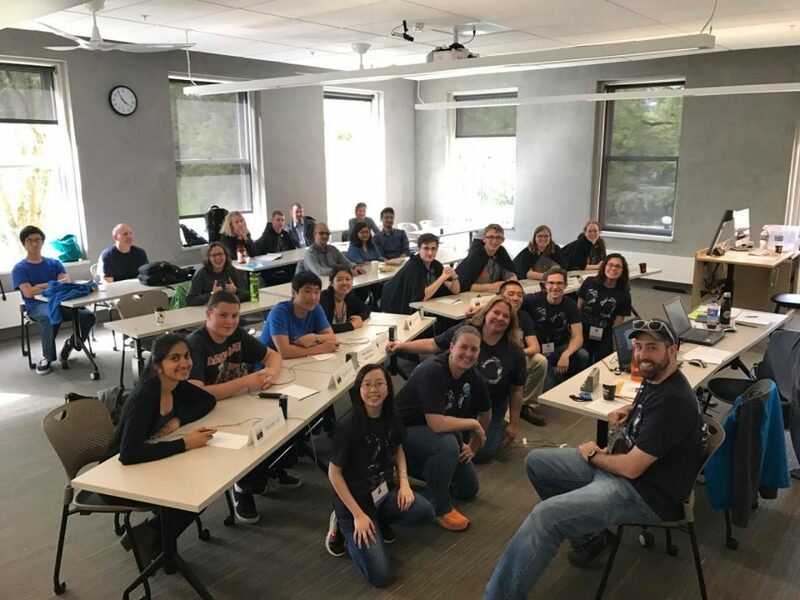 While millions of enthusiastic people were marching through the streets, I “Ran for Science” at the 20th annual National Ocean Science Bowl (NOSB) – delivering question sheets and scores between competitors and graders as 25 teams competed for the title of national champion! Over the course of the competition, teams of four high school students compete through rounds of buzzer-style multiple choice questions, worksheet style team challenge questions, and the Scientific Expert Briefing, a mock congressional hearing where students present science recommendations on a piece of legislation. The challenges are unified with a yearly theme, which in 2017 was Blue Energy: powering the planet with our ocean. Watching the students (representing 33 states!) compete is exciting and inspiring, because they obviously know the material, and are passionate about the subject matter. Even more encouraging though, is realizing that not all of them plan to look for jobs as research scientists. Some express interest in the arts, some in policy, or teaching or engineering. This competition is not just about fostering the next generation of leading marine scientists, but rather about creating an ocean-literate, and scientifically-literate populace. 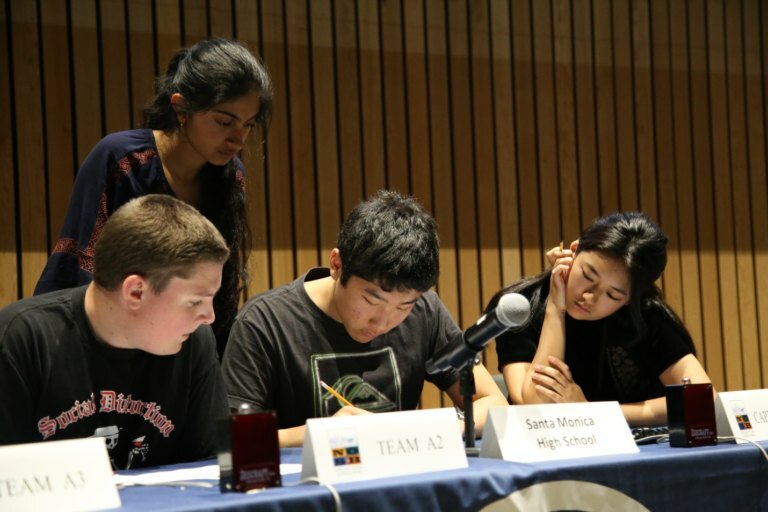 So, congratulations to Santa Monica High School, who took home the national title for the first time this year! Would you like to test your knowledge against some of the questions they faced? Try your luck here! 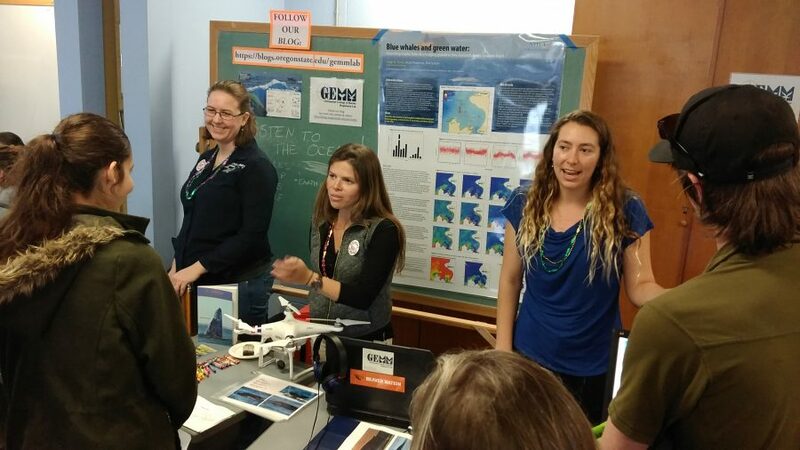 The GEMM Lab also recently participated in the Hatfield Marine Science Center’s Marine Science Day. It’s an annual open house where the community is invited to come tour labs, meet scientists, get behind the scenes, and learn about all the exciting research going on. For us as researchers, it’s a great day to practice explaining our work and its relevance to many different groups, from school children to parents and grandparents, from artists to fishermen to teachers, fellow researchers, and many others. This year the event attracted over 2,000 people, and the GEMM Lab was proud to be a part of this uniquely interactive day. Outreach events like this help us feel connected to our community and the excitement present in all the questions field during this event reassure us that the public still cares about the work that we do. Lab members Florence, Leila, and Dawn (L to R) answer questions from the public. 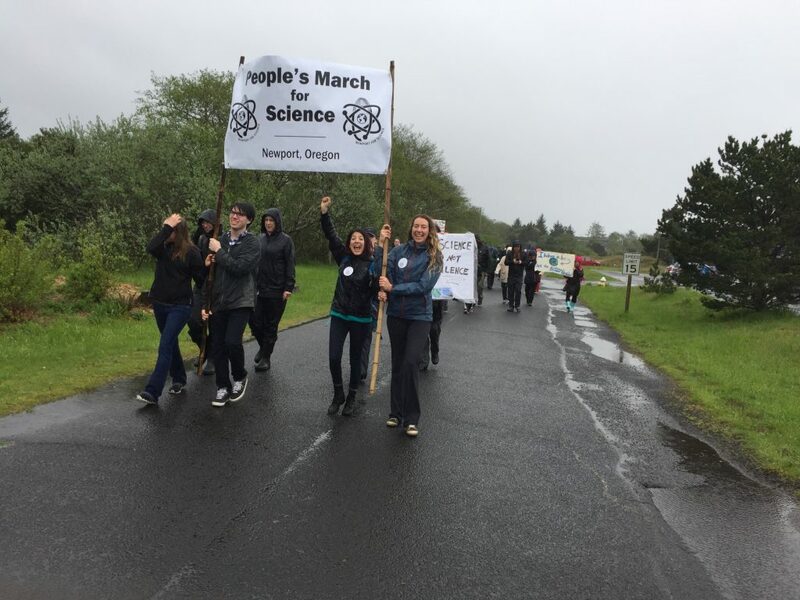 500 Women Scientists: “working to promote a diverse and inclusive scientific community that brings progressive science-based solutions to local and global challenges.” Read their take on the March for Science. And finally, The March for Science is finishing up it’s week of action, culminating in the People’s Climate March on April 29. How will you carry the cause of science forward?